If you’re like most people, a networking event or cocktail party filled with unfamiliar faces does not top of your list of favorite activities. Have you ever skipped a conference networking reception in favor of room service and a movie? I have. 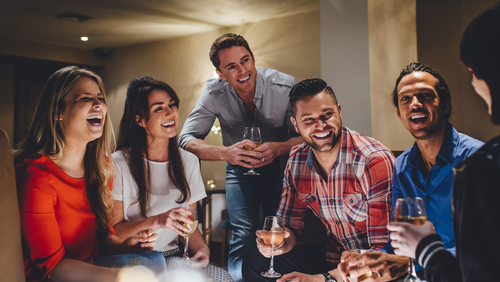 Most of us dread these gatherings because conversation is typically dull, repetitive and at worst, awkward. “What do you do?” “Where are you from?” “What do you think of the (insert team name) chances this season?” We’ve all been there. But every once in a while you meet that master networker, someone who takes the conversation to a different level. She shows real interest in why you are at the event and what you have to say. She asks questions about you, your business and your goals for being at the event and then points you to others who might be able to help. You don’t sense that she’s waiting for you to finish a sentence so she can pounce in return. She’s kind of a know-it-all, but in a good way; she seems to be able to add new information and real value to any conversation on any topic, and she’s generous, not boastful. You feel energized. You feel smart. You’ve learned something. Now that makes a party worth going to. Now imagine being able to give that same feeling to every customer you meet with. What could that do for you—and your business? 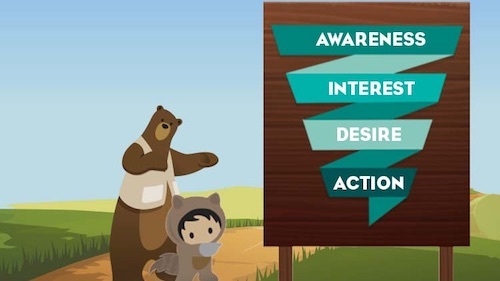 Leaving the customer feeling excited, inspired, intrigued and eager to move on to the next step should be the primary goal of every salesperson. Unfortunately, this is rare. More commonly, the customer feels confused by a barrage of product information, annoyed by a salesperson who doesn’t seem to understand anything about their business, and pressure to buy from someone whose only goal is to close the biggest deal possible as fast as possible. Do your research on your customer before the first conversation. The information you can glean from learning about the person you’re approaching, their interests—both business and personal—and what’s going on in the business and their market—makes conversations easier and more productive. Being familiar with their social media posts or what they—or their boss—has said about major company initiatives, can help you connect the dots and find the optimal fit between their business and yours. Instead of launching right into a pitch for your services, use your first conversation as a learning expedition. Ask intelligent questions based on what you learned in your research. You’ve immersed yourself in issues surrounding banking and issues specific to Credit Suisse. Instead of spouting what you know (the wrong way to be a know it all), you draw him out. Demonstrate your interest and show you are listening by summarizing what you are hearing and then asking a logical follow-up question. You can ask all the questions in the world but if you’re not truly present during the conversation, if you’re calculating your next response, you’re still not doing it right. Put your knee-jerk reaction to respond aside and just listen. Your customer wants to be heard and you need information. Being a smart listener will help you calibrate what is most important to a customer, which will inform you about how you should respond. If you’re thoroughly prepared, you can find a way to be an intriguing conversational partner. What you want to avoid is a situation in which you haven’t been listening closely or you’ve been thinking too hard about what you’re going to say next—and then you panic and default to talking about your product. Product talk can be a natural outcome of a good conversation but it shouldn’t be your topic of last resort. A generous know-it-all is an informed and engaging conversational partner who offers valuable information on topics that their customer cares about. If you can achieve this, then the sales part of the conversation will come naturally in time, and be welcomed. If you can be a know it all in the best sense of the phrase—by knowing the subject matter but using it to steer a great dialogue with customers—then the sales part of the conversation will come naturally and be welcomed by the customer. Just remember, just because you’ve had that one good conversation doesn’t mean that’s it. Dialogues are ongoing. You have that with friendships; you want to have that with customers. It’s part of building and maintaining relationships.